I enjoyed this - lots going on in this book and an interesting continuation of the story. It took me a while to remember the details of who all the characters are, how they knew one another, and what we already knew about the plot. (And i didn’t recall everything.) Usually that doesn’t bother me, but I think this book had fewer reminders than other series. So I think these are best read in fairly quick succession. 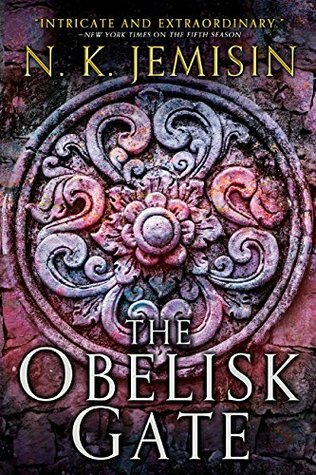 Sign into Goodreads to see if any of your friends have read The Obelisk Gate.